It's a physical item that demonstrates your commitment to your product or service and communicates the substance behind your offering. An effective brochure design will give people confidence, and literally puts your organisation, its values and product into your potential client's hands. In a virtual world, it delivers a tangible reality. Something you can hold, something you can touch - where you can feel the quality and see that it is real. And as a corporate brochure design company, Hullabaloo can maximise its impact. Hullabaloo is a full service design studio that works as happily in print as it does in digital communications. But what does that mean for you? It means we can help you decide what the best route is for you - digital or printed - and you don't have to worry whether we are recommending a brochure because that's all we can do. Located in Leicester, central to the Midlands, UK. Due to this location, we are conviniently positioned and easily accessable from a number of major road and rail lines, meaning we're never out of reach for a client. We work well with your own printers - or if you prefer we can do the printing for you. We work mainly with local printers in the Leicestershire area, and wherever you are based that makes for easy distribution, meaning that there is no problem in getting your new brochures to you in a timely fashion and to meet your deadlines. 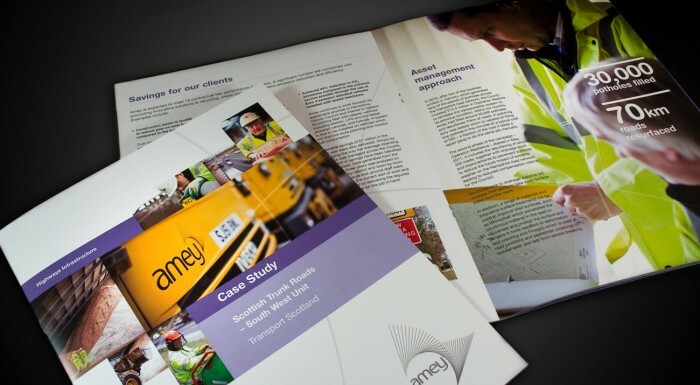 These case studies were designed to work alongside the divisional brochures and other items we designed for Amey. Their design used powerful graphics to highlight how important projects met and exceeded the KPIs set by customers. We will meet with all the key decision makers to understand their views, and find what each of them wants the brochure to achieve. By gaining this understanding we are jointly able to define the brief that will create a new Brochure everyone is behind. Having talked to the key people, we go away and produce a range of ideas of how we could achieve the brief’s objectives. 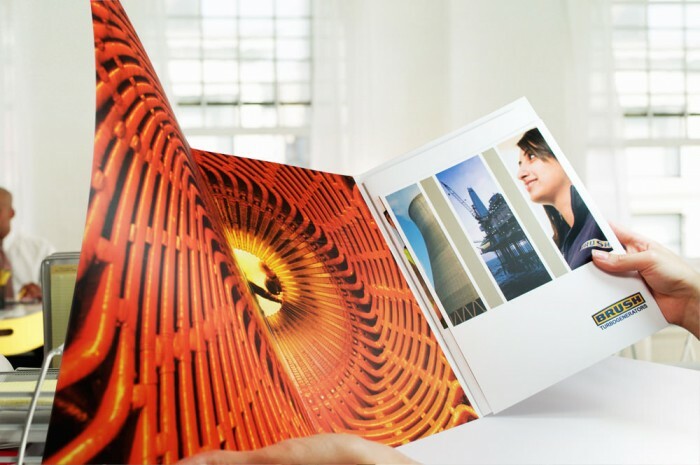 Typically this will include styles of photography, alternative formats, headlines and structures, use of colour, print finishes – all the factors that go to make a great brochure. Our Design Concepts will help everybody see the strengths of each solution, and enable you to decide what direction we choose to take forward. Once we are all agreed on a direction, we work to cost and deliver all the items you need to make your brochure a reality. From copy writing to photography & illustration, we bring together all the elements into a finished mock up that lets you see what your new brochure will look like, and make sure it’s exactly right before we proceed to production. Once everything has been agreed, we provide you with detailed proofs so that you can check everything is saying exactly what you want it to say. At the same time, we prepare artwork for production in whatever medium is required. To make this new Brochure a reality means finding the right production resources for your needs. We can arrange everything for you through our wide-ranging network of approved suppliers – all delivering high quality but cost effective results. Alternatively, where you have existing and proven relationships with your own suppliers, we will work closely with them to ensure a successful delivery. Delivering your printed brochure is just the start. Hullabaloo can help find innovative and effective ways to take your new brochure to all the right people. From postal packaging and covering letters, to PDFs and online brochures that can be browsed across the web. Beyond its launch, your new brochure will need to be supported and your brand protected, and we would love to act as brand champions. This involves working with your team to plan and produce innovative support materials – from websites and advertising to training materials and exhibitions. 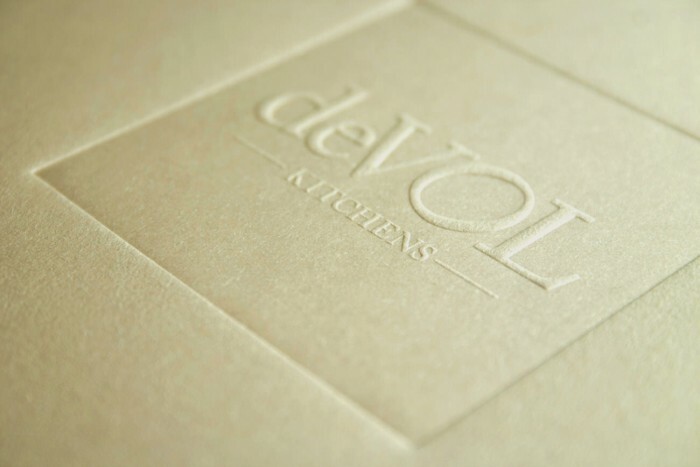 We would love to meet and talk about your brochure design - or any specific projects you are planning.